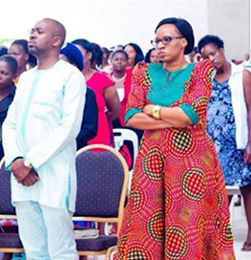 In a Prophecy posted last week on Youtube, Madzimure said God has deposited wisdom and understanding in Chamisa’s wife that the 41-year-old leader must tap from. He further said it is not yet God’s time for Chamisa to be removed from leadership of his party. In as much as his detractor may fight to unseat him, it is never going to be. It is not yet God’s time.